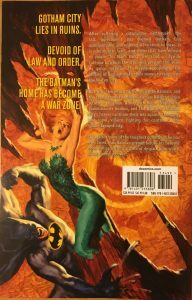 Batman: No Man’s Land Volume 2 is the middle bit between Cataclysm/No Man’s Land Volume 1 and it’s conclusion in No Man’s Land Volume 3. 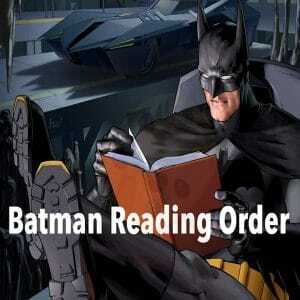 Volume 2 is notable for being more about Batman and his allies than the solo quest he was in in the first volume. Batman calls his allies for help to work together to bring Gotham city from the brink following the Earthquake and the tribal behaviour of many inhabitants. 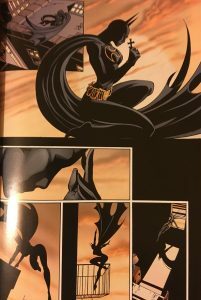 It’s also notable for the introduction of Cassandra Cain and her subsequent transformation into the then new Batgirl. 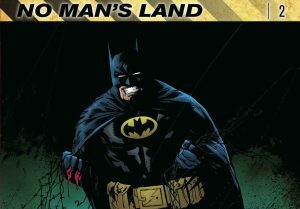 Just like any major crossover arc with more than one volume, No Man’s Land Volume 2 is a hefty read with 512 pages collecting 20 issues from various characters and series’ as well as being written and drawn by a few people – this can create a disjointed experience but a good one nonetheless. 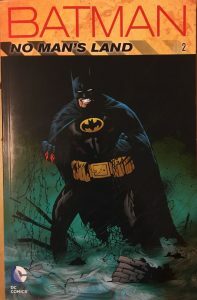 No Man’s Land Volume 2 (New Edition) collects Batman #567-#568, Detective Comics #734-#735, Batman: Legends of the Dark Knight #119-#121, Batman: Shadow of the Bat #87-#88, Batman Chronicles #17, Robin #67, Nightwing #35-#37, Catwoman #72-#74, Azrael: Agent of the Bat #56-57 and Young Justice: No Man’s Land #1. Volume 1 was a long, hard slog which was relatively slow paced and quite isolated. There wasn’t much team work to be seen in the book and it was pretty much every man to himself. No Man’s Land Volume 2 is definitely not like at all and Batman finally calls in his allies (Nightwing, Robin, Azrael) to help him with the total mess that is Gotham. When I read Batman say “Call them” to Oracle I thought thank god for that – as a crossover arc, Volume 1 seemed way more Batman than it needed to be and other than Azrael from time to time it was all him. However, what I didn’t think was great was how quickly they all got there – when you get to the part where Catwoman has a really hard time getting in it is mystifying how Nightwing and Robin got in so easily. 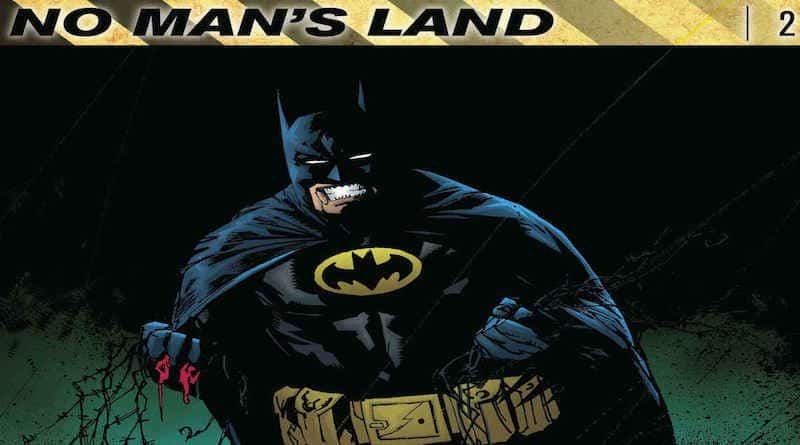 Whilst many parts of No Man’s Land Volume 1 where from the perspective of many of the citizens, No Man’s Land Volume 2 is entirely from the perspectives of the characters – the effect of this, on me, was that it made Gotham city look a little better and not all that bad. Volume 2 may make you wonder by the end of it “How are the people doing?”. Maybe we’ll find out in Volume 3. The first part of No Man’s Land Volume 2 is the continuation of the various gang wars that begin in Volume 1. It’s a strong start that’s all Batman fan favourite stuff – there’s also some more of the internal affairs plaguing the GCPD (or Blue Boys as they’re named in NML). The Bat stuff, the GCPD and the Gang Wars (mostly Two-Face’s rise) are the three favourite parts of the whole NML saga of mine so far so I was pleased with this bit – the pacing was great, there was nothing over the top and the art work of the destroyed Gotham was consistent with what it was in Vol. 1 and also what you’d expect it to look like after an Earthquake. 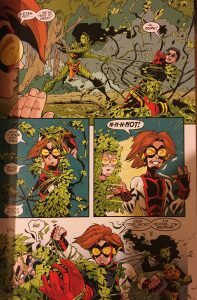 However after 4 good issues DC must have decided that No Man’s Land Vol 2 was too heavy in nature and inserted Young Justice in there. I’m a little disappointed in the inclusion of a new female villain in Echo who came as quickly as she went. Now, if you’re a fan of Young Justice then you’ll think it’s great but the issue titled “Road Trip” can only be described as a travesty and just completely out of place in No Man’s Land. 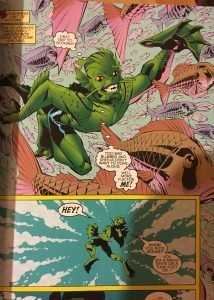 It is a childish and ‘goofy’ issue where the kids of Young Justice – Superboy, Robin (before he comes into No Man’s Land proper), Impulse and a special guest character in Lagoon Boy. It’s not that it’s a bad stand alone issue, it’s just that it’s a bad issue when read in the context of NML as a collected edition where one issues follows another. The various writers have worked hard to paint Gotham as a no-go zone and then these kids come in, mess around, then leave. Personally, if you’re reading this before you read No Man’s Land itself, skip this part. Once this travesty is over that’s when Batman calls in for aid. 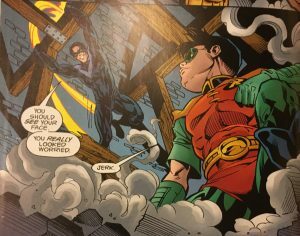 The allies all have their part to play thanks to Batman’s orders – I’ll start by looking into Robin’s bit, he has one issue to himself in this and shares it all with Nightwing. It’s full of one liners as you’d expect and some quite colourful art from Staz Johnson, Adrienne Roy and Stan Woch. Robin and Nightwin need to get to Blackgate for Nightwing to complete his mission at Blackgate. Robin #67 also features Tommy Mangles and Gearhead as the token villain. I’d class Robin’s part in No Man’s Land Volume 2 as the “fun bit” but it did very little to continue the story or add anything to increase the tension in Gotham. 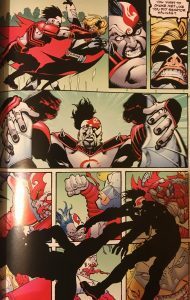 Azrael has had some input in NML already as we saw his part in getting to Gotham City in the first place in No Man’s Land Vol 1 and it’s continued in Volume 2 in a much better way. The artwork for a start got a major upgrade and is now in line with most of the other issues included. Crossover arcs and having so many artists involved can sometimes create a disjointed experience and I was pleased with the better looking Azrael issues. 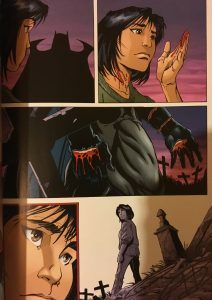 Storywise, I found it to be pretty decent as he works together with the new Batgirl Cassandra Cain and finally takes down Nicholas Scratch – it all felt very Mad Max-esque especially when you see the way Scratch is dressed. As a point to add, Azrael could never have done it without Cain, either. 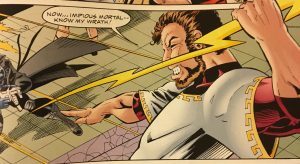 Nicholas Scratch was built up quite a bit in Volume 1 which made me think that that the confrontation between him and Azrael would be huge and action-packed. It wasn’t. Nicholas Scratch was a fairly lame character who was ‘defeated’ a little too easily, he had amassed a pretty impressive army, seemed to be always one step ahead of Azrael but was too easily defeated by some simple reverse psychology on Azrael’s part. 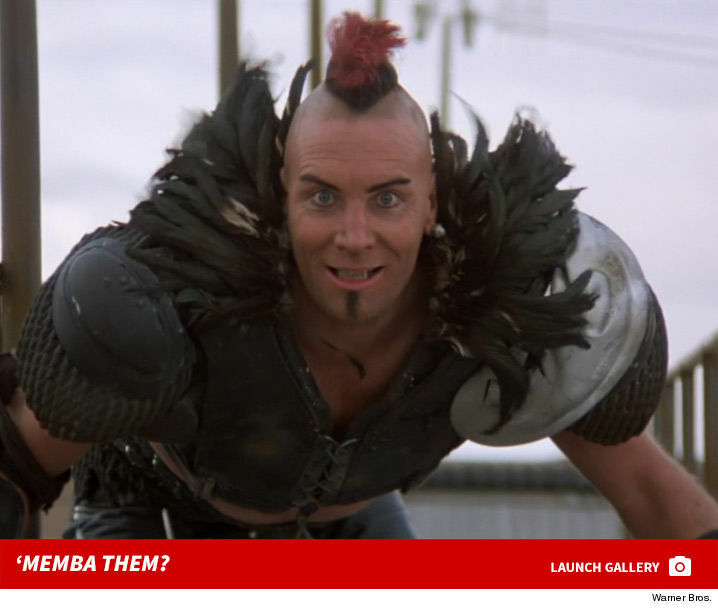 Funnily enough Andrew Asberry compared Scratch to Aladdin Sane and I could see where he was coming from, personally I thought Scratch was more Wez from Mad Max. At this point in Batman No Man’s Land Volume 2 it’s a decently sized break from Batman and moves on to Nightwing’s part to play as he needs to infiltrate Blackgate prison and take it back for the Bat family. Standing in his way are the wardens Batman left to run the place, Lock-up, KGBeast and the Trigger Twins. 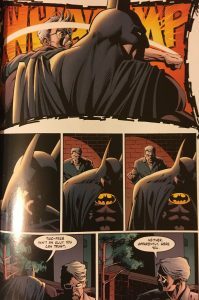 I found this portion of the book a little bit slapstick when compared to Batman, a little darker than Robin – just the right place for a Nightwing story. 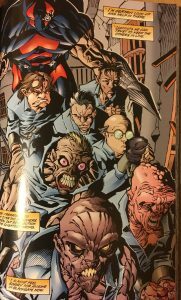 I found it an interesting read how Nightwing has to use his wits as he is caught and thrown in with some of the inmates (Black Mask is in there and there’s something not quite right about his face). He uses them to his advantage to be able to get out and turn the tables on the captors. Not once did Nightwing actually get into any mortal danger but as that chapter ends you get the sense that the tides are turning to Batman’s favour. 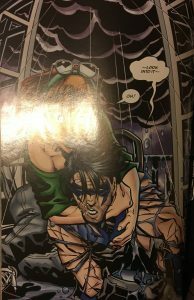 The artwork in the Nightwing segment isn’t as strong or consistent as there rest of NML (vol 1 included) and together with the slightly lighter plot line brings the reader out of the dark a bit, it almost makes you forget everything that’s been happening on the outside. McDaniel’s has a tendency for bolder colours and a stretched finish which removes a lot of the realism from the characters themselves. 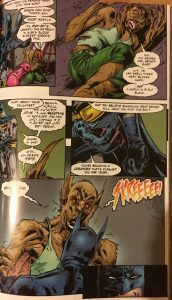 After a long period away, Batman returns with a few issues involving Clayface and Poison Ivy. Although I was glad to see the Dark Knight back I was a bit baffled with the plot which ties the three of them together. First, Clayface has effectively trapped Poison Ivy for the last 6 months to create loads of fruit and veg for him to profit on – what does Clayface need with money? And where exactly can he spend it in No Man’s Land? 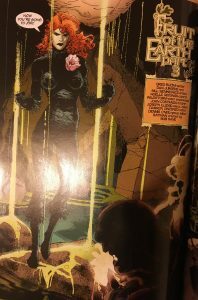 Second, once Ivy is released she is able to swiftly defeat Clayface, why not just do that straight away? 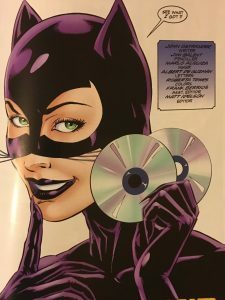 The review of Batman No Mans Land Volume 2 is already getting a bit long and I’m a bit tired writing about it so we’ll round off swift with the sizeably with the Catwoman portion which is actually quite long. Batman needs Catwoman to get him some disks from Manhattan (we’ve already covered her getting into Gotham) and the contents of said disks are unknown. The bizarre part of this whole adventure is that the disks are being guarded by people in Bruce Wayne’s empty – but she still has to steal them! Why didn’t Bruce just call to say it was ok? The writers really stretched the caper as much as humanly possible and threw in Hardcases Inc, Maxie Zeus and some henchmen allies to boot. 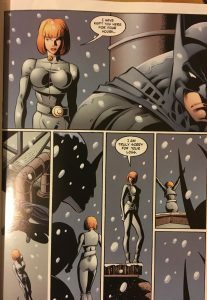 One thing you won’t help notice from this part is how extremely curvaceous Catwoman is, and at times a bit distracting. Shouldn’t even have been included in No Man’s Land if you ask me. 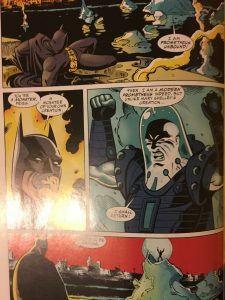 Lastly, and I mean lastly, Batman has a pointless encounter with Freeze which looked rushed and the dialogue is nothing short of terrible. A really bad ending to an OK book overall. No Man’s Land as a series is a long hard slog to get through. Volume 2 is a change of pace and content from the first volume which focuses a lot more on the allies and not how terrible the situation is. Throw in some so-so issues in Young Justice, Nightwing and Catwoman issues and you’re sadly left with a long and pretty mediocre collected edition.